We believe that customers booking a Sardatur holiday are looking for that personal attention and individual service, which only a truly independent, specialist company can offer. We are passionate about Italy, and our sole aim is to provide our customers with quality holidays, backed by solid experience and the highest level of customer care. We truly are the Italian specialists, with Italian directors who have over 30 years’ experience in selling holidays to Italy and a sales team also with many years of experience and a passion for selling Italy. 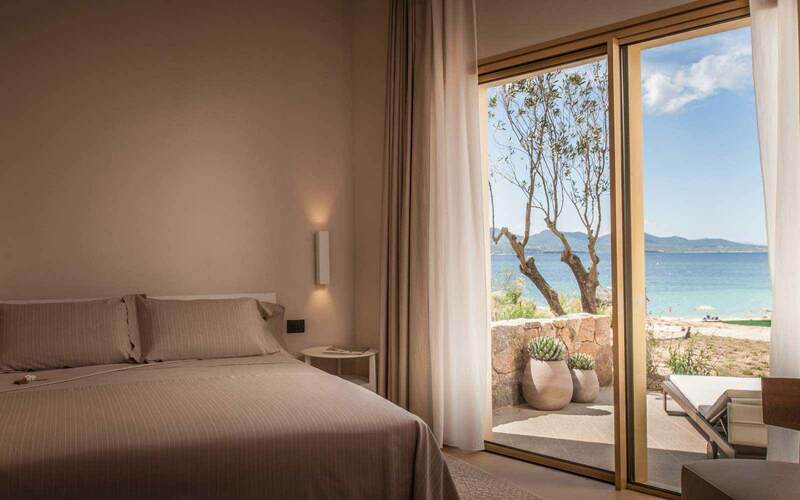 Sardatur Holidays comprises a large range of accommodation, from simple residences to luxury hotels. 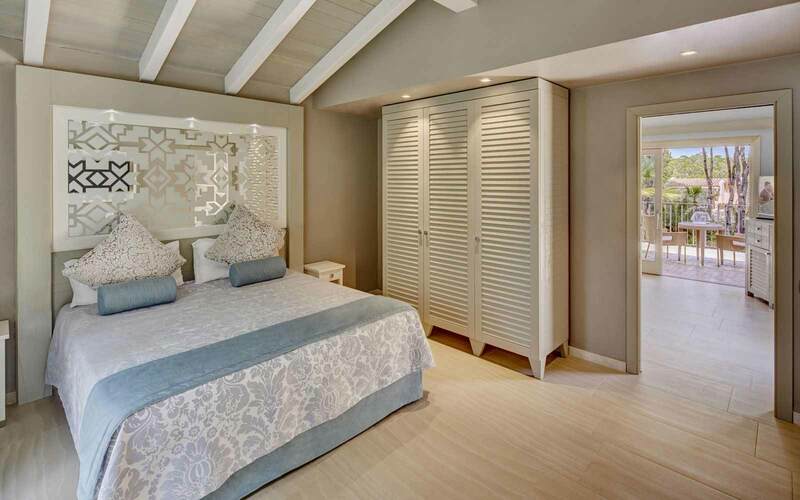 The official ratings are based on certain facilities or services being available and they do not take into account the size of the bedrooms or public rooms, nor the preferred décor pf the owner, which may be at odds with your taste. 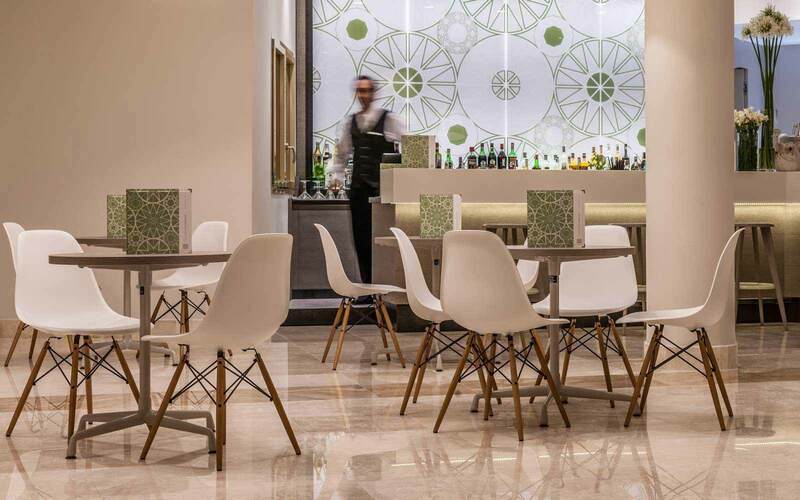 Hotels in the same category, even in the same resort, can vary considerably in character, ambience, service and facilities and may not offer the same staffing levels and facilities, or be as well maintained. it must be bourne in mind that cost is a good indication of standards, particulary when comparing hotels in the same star rating. As well as the hotel's official star rating, we have also given our own special rating, based on our personal opinion. This rating should be taken into consideration, especially when comparing hotels of the same official star rating. By all means browse our website to get an idea of what we offer. 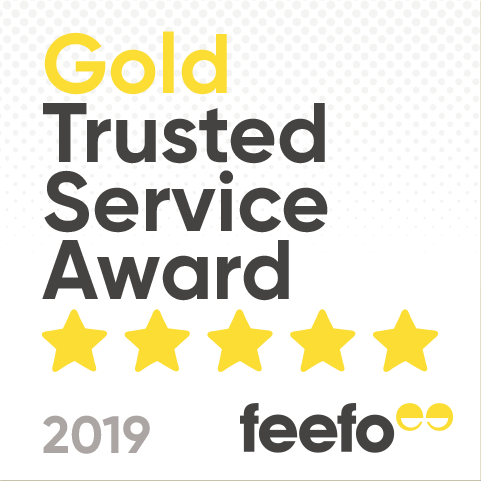 However, if like many of our repeat customers, you would like the reassurance of speaking to someone with first hand knowledge of a particular property or area, then do call us. Together we will find the perfect holiday. 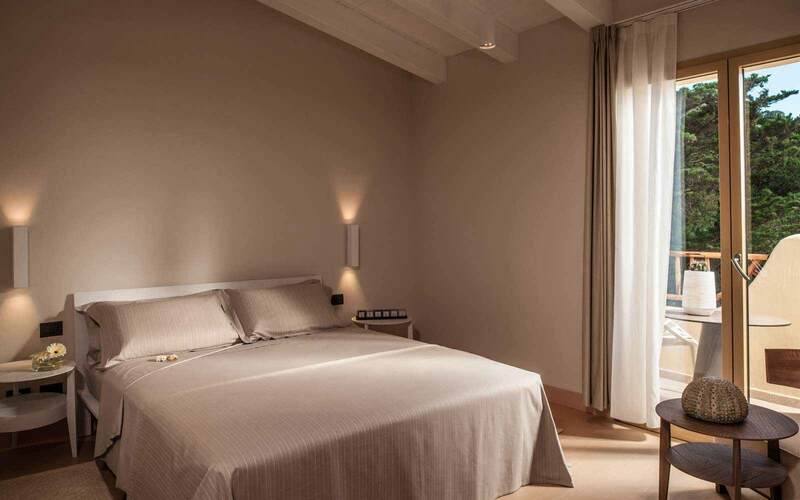 Italy’s finest hotels; where guests can enjoy a highly attentive service in luxurious surroundings. Our luxury collection is the ideal choice for that special celebration, honeymoon or even a wedding. 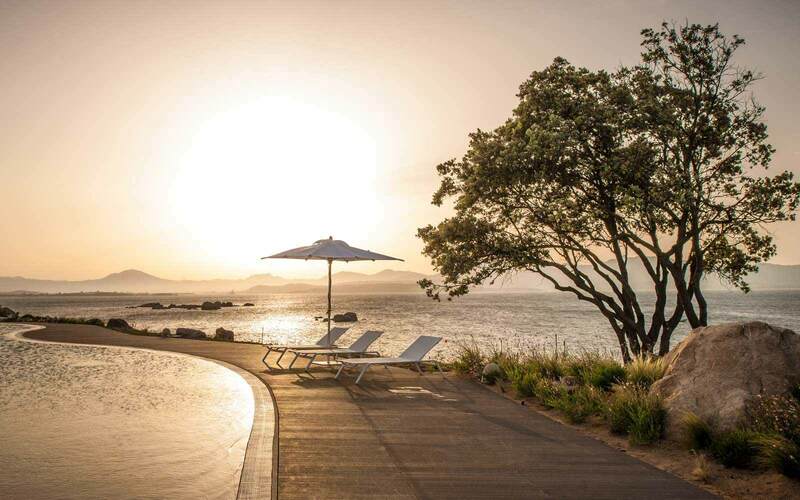 Our Select category includes hotels which we believe offer good standards of service, accommodation and facilities, and which are situated in excellent locations. Mid range properties, offering a good level of service and comfort for their price. A collection of reasonably priced hotels, which offer a simple but decent standard of accommodation and represent excellent value for money. Our Villaggio selection are family resorts, which we believe offer a good standard of accommodation and a good range of facilities to keep the entire family occupied during the holidays. 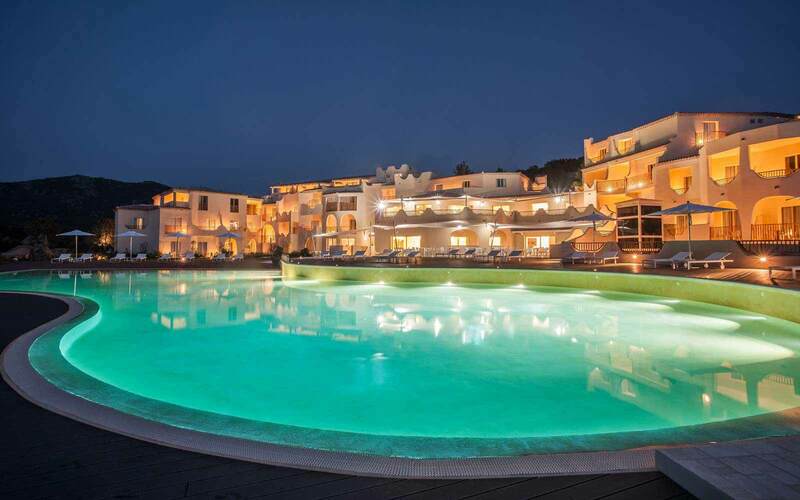 These are friendly and easy-going resorts, providing very informal service and representing good value for money. These resorts have a high proportion occupancy of International clientele. If you are a travel agent, click here to book. (Prices include: half board accommodation, transfers and return flight from Heathrow). Choose your preferred departure date, duration and uk departure airport. Our experienced consultants will send you a personal quote with a price match guarantee. Please complete all fields before submitting. Something went wrong when submitting. Please try again shortly. Prefer to ask a person? Chat to us live now. 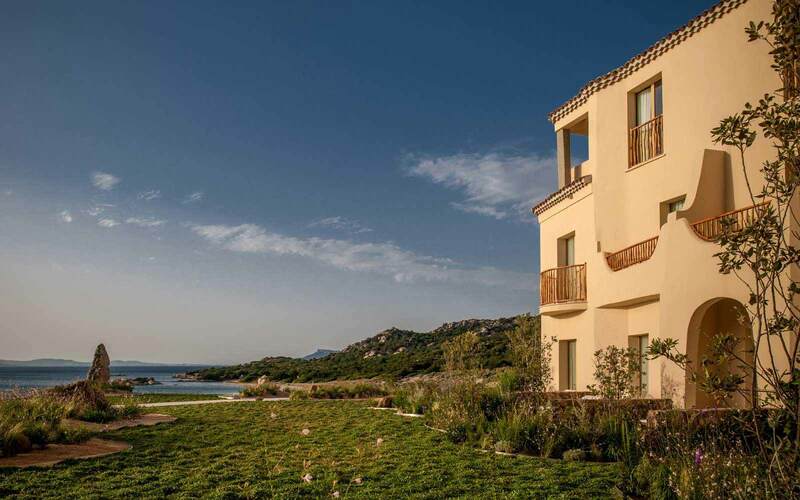 The Hotel CalaCuncheddi is located just steps from Li Cuncheddi beach on Capo Ceraso bay, just south of Olbia, on the northeast coast of Sardinia. 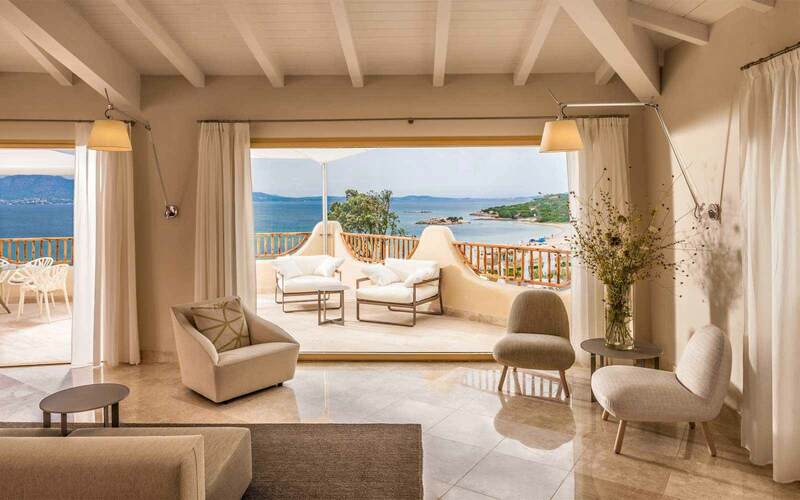 The hotel has been completely renovated and re-designed as a delightful and charming boutique hotel that follows the contours of the land and blends perfectly with the unspoilt natural surroundings at the edge of the turquoise crystal water of the bay. 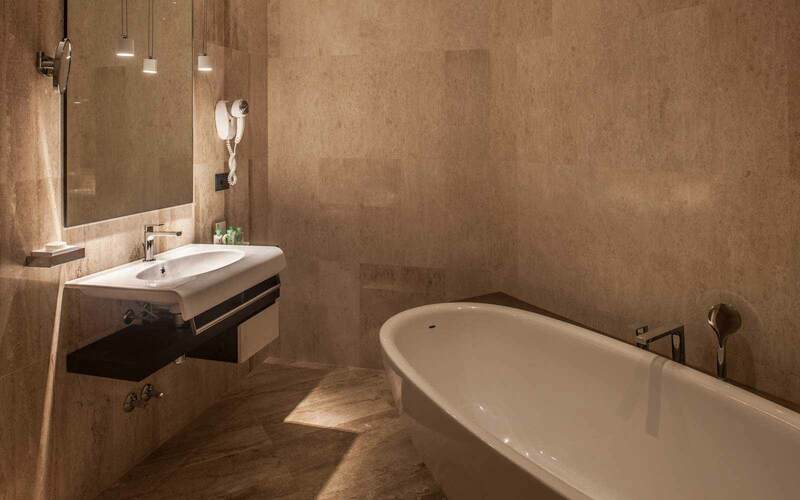 Rooms are located along corridors on different levels with marble floors and quality fittings and features, all in a classic-and-contemporary fusion style. 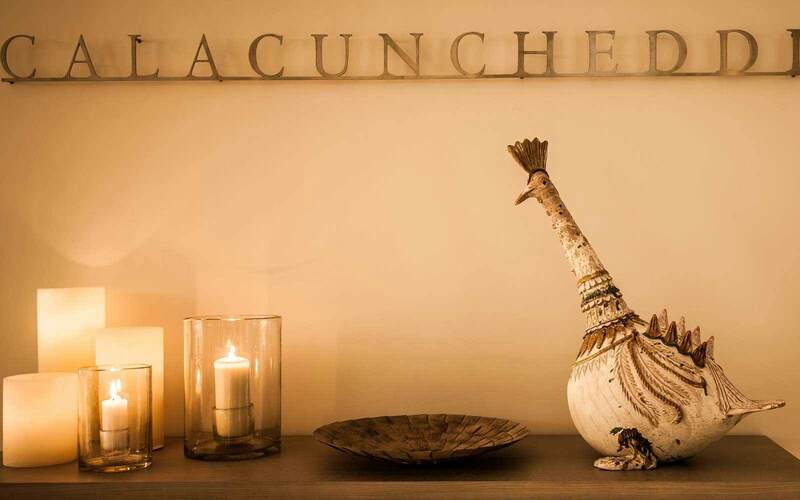 Hotel CalaCuncheddi is the ideal place for romantic couples and honeymooners. The Hotel CalaCuncheddi has two restaurants. 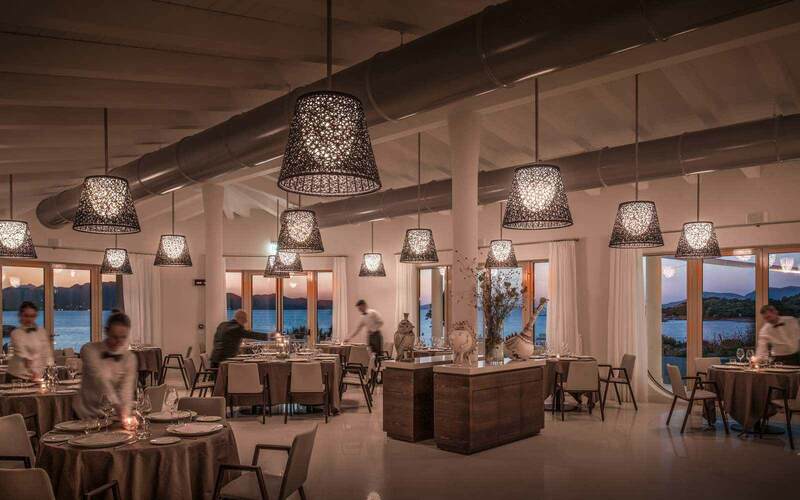 The “Asarena”, with panoramic views over the pool and the beach, serves breakfast; the “Asumari”, located just a few steps from the sea, serves lunch and dinner. Guests staying on half-board have access to the generous buffet breakfast and a choice of 4-course menu (table service) for dinner. The Hotel has an American Bar, a Piano Bar, and a snack bar by the pool. The new Spa offers a rich program of treatments and has a Turkish bath, a sauna, a whirlpool with waterfall, and massage/treatment rooms. 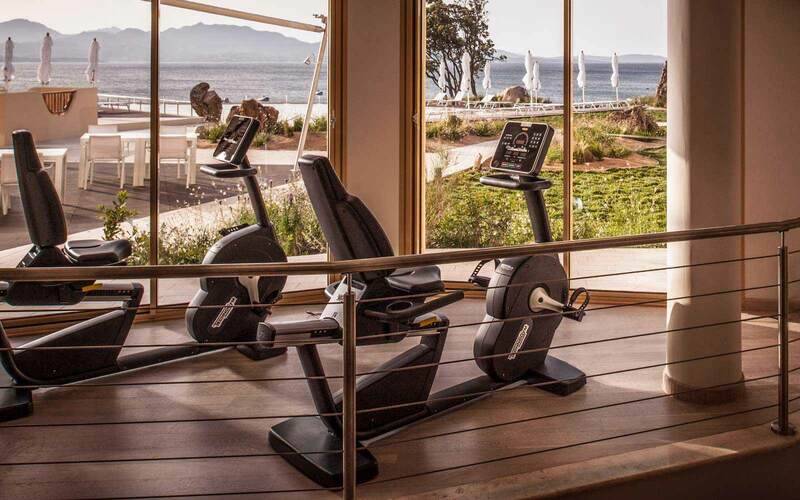 There is a Technogym-equipped fitness centre. 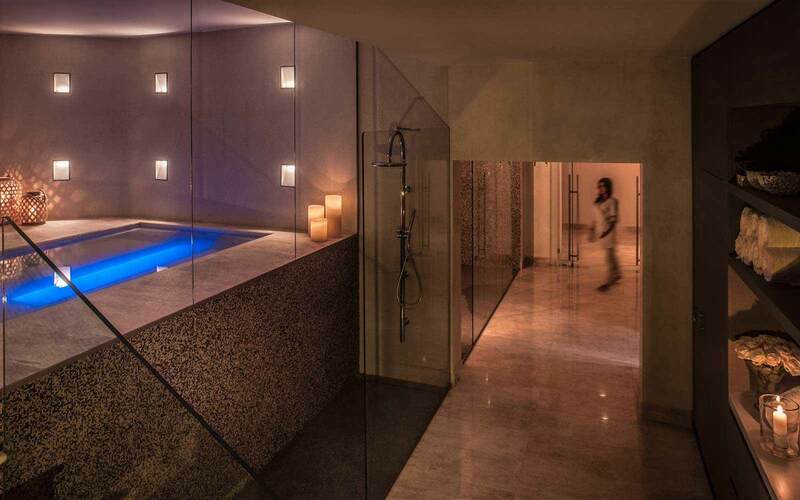 The entrance for the Spa is complimentary for all guests. 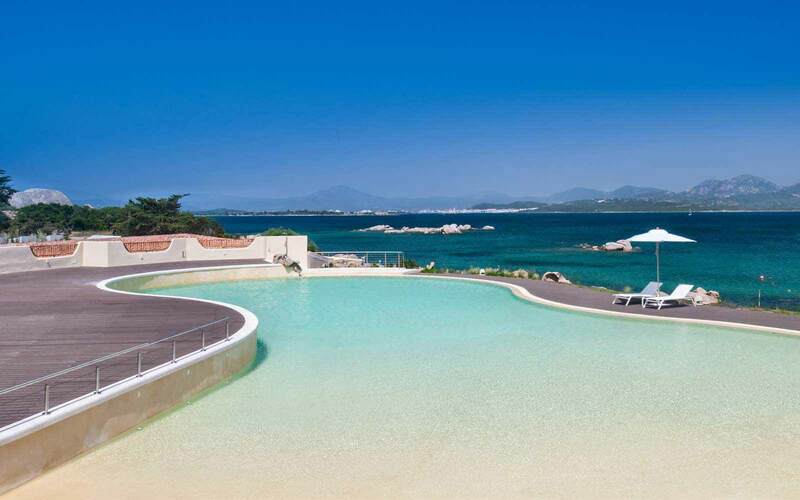 The beautiful freshwater pool is located by the edge of the sea with great views over the beach. The surrounding decking is equipped with sun-beds and parasols and is an ideal place to relax and enjoy the beauty of the area. The sandy beach of Li Cuncheddi is just 30 meters from the pool and is equipped with sun-beds and parasols (on a first-come, first-serve basis). Beach towels are provided free of charge. Standard: Bathroom with shower, balcony or small terrace with garden view, about 16sqm. 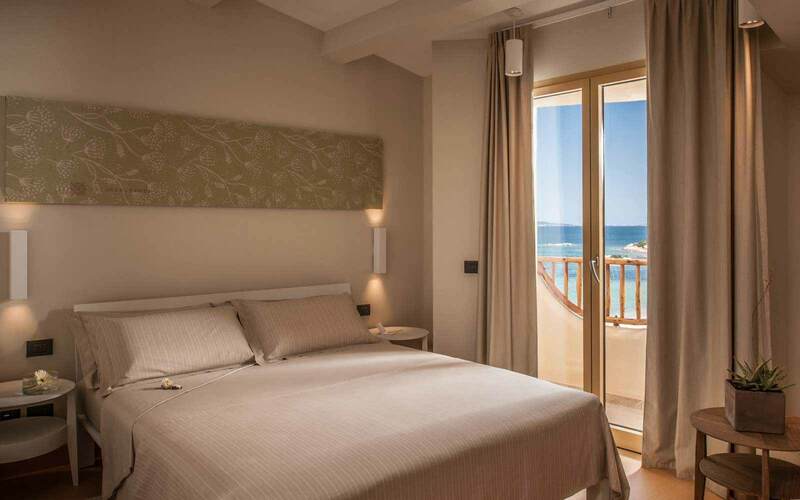 Superior Seaview: Bathroom shower, balcony or patio with Li Cuncheddi beach view, about 18sqm. Junior Suite: Bathroom with tub, balcony with sea view, spacious living area, about 24sqm. Suite: Bathroom with shower, balcony with Li Cuncheddi beach view, about 30sqm. 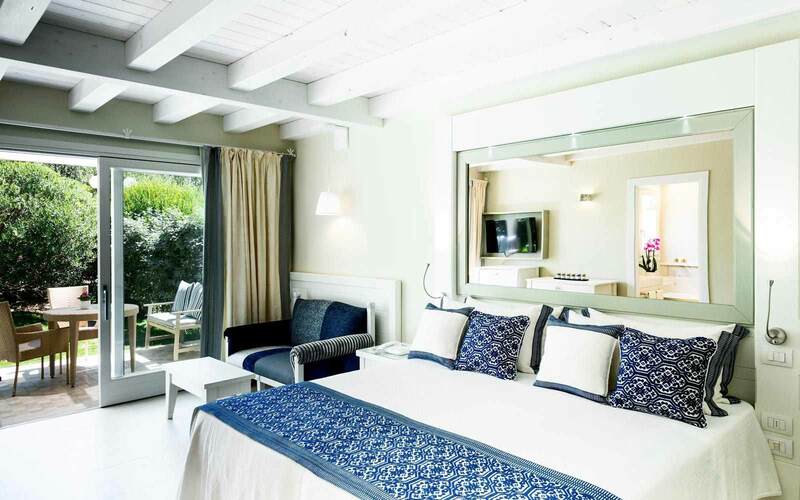 All 79 guestrooms offer: air-conditioned, private marble bathrooms, hairdryer, slippers and complimentary Bulgari toiletries, Satellite TV, telephone, minibar and safe. 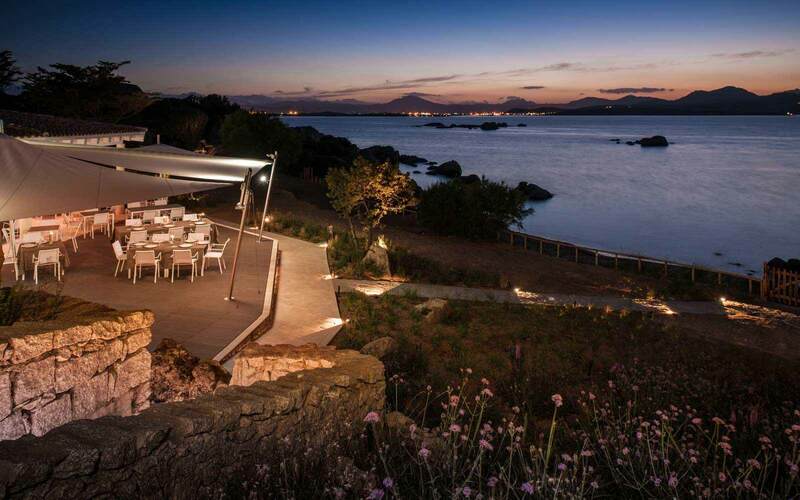 We just wanted to let you know how much we enjoyed our “chill” time in Sardinia. The Calacuncheddi was a wonderful find for us. It ticked all the boxes as far as comfort, style, food, beach and excellent staff. We look forward to returning in a future date. Thanks for your help. Expert Service | Price Match Guarantee | 100% Peace of Mind | Financial Security with ATOL protected holidays. Read more about Why you should book with us.